But there’s more to cleaning and freshness than just keeping house. Is it possible that your bathroom routine could use a little freshening up? With Cottonelle Ultra Comfort Care Toilet Paper and Cottonelle Fresh Care Flushable Wipes, you can take your bathroom routine to a whole new level of fresh and clean. Not only will you benefit from a softer, gentler toilet paper, but you’ll also have the many uses of the flushable wipes. Beyond the obvious, these are also great on-the-go wipes to take with you. They come in larger wipe containers that you can mount onto the wall, as well as convenient to-go, individually wrapped packages that allow you to wipe or clean up while out and about. 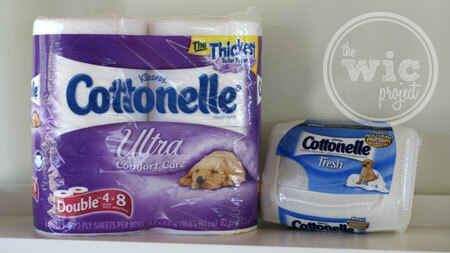 Cottonelle calls using these two products the “Cottonelle Care Routine” and they are encouraging use to rethink our bathroom routines and Name It. Do you know what you would name your updated bathroom routine? Once you decide on a name, or if you need help thinking of a new name, use the Cottonelle Name it Generator on Facebook.com/Cottonelle and add it to their Book of Names. The Customizer: Create a name to add to our Book of Names and enter for a chance to win a year’s supply of Cottonelle products. Use The Customizer option of the Cottonelle Name Generator and you’ll be entered to win a year’s supply of Cottonelle Ultra Comfort Care and Cottonelle Fresh Care. Follow @Cottonelle on Twitter for even more exclusive opportunities to win #NameIt prizes. After determining your name, you can visit Cottonelle.com to view the Book of Names and to see what other people have renamed their bathroom routines. Make sure you check out their fun bathroom trivia while you’re there! So…what’s your new routine name? Disclaimer: I was compensated for this post. The opinions and ideas expressed here are my own.